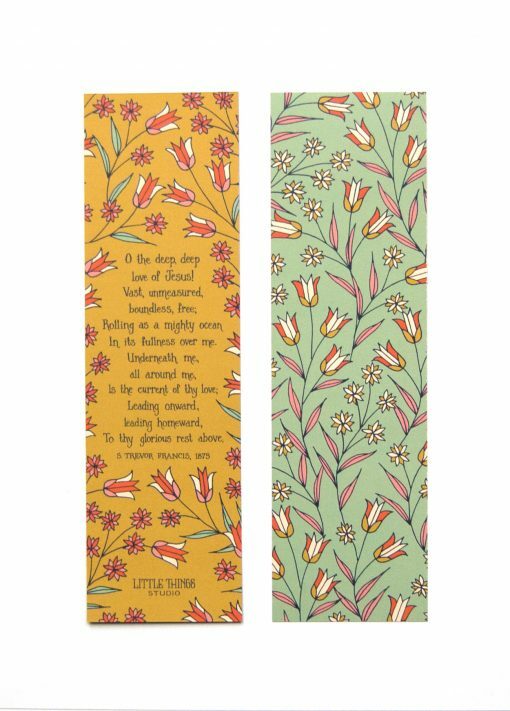 Your books deserve better than scraps of paper stuffed in them to keep your place. 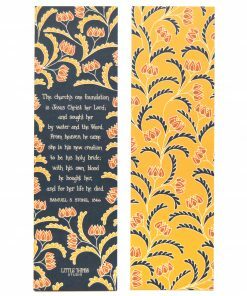 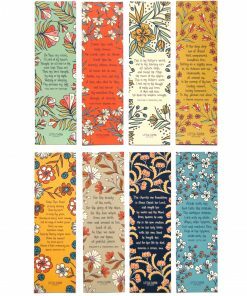 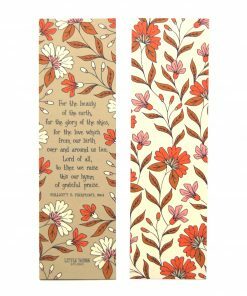 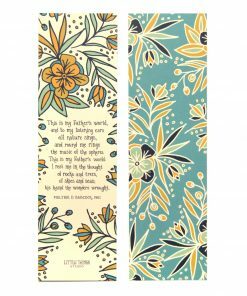 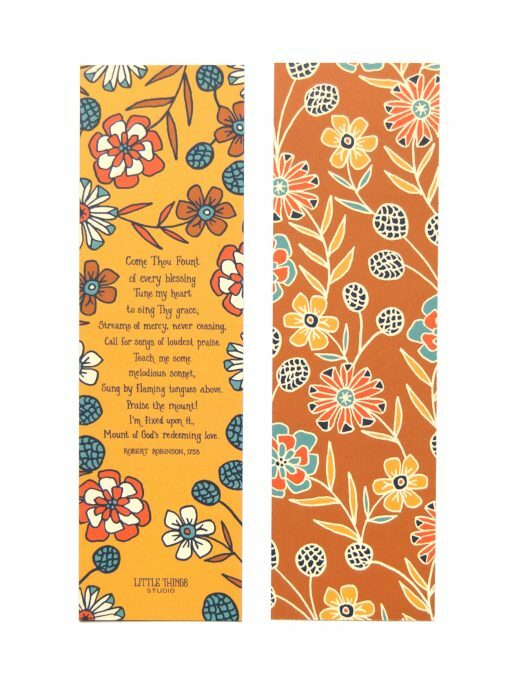 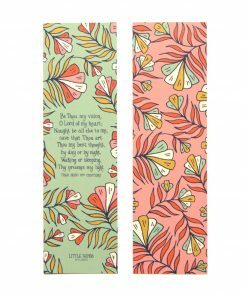 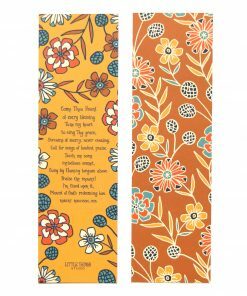 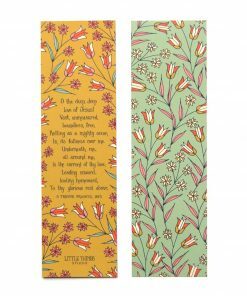 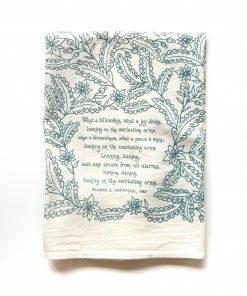 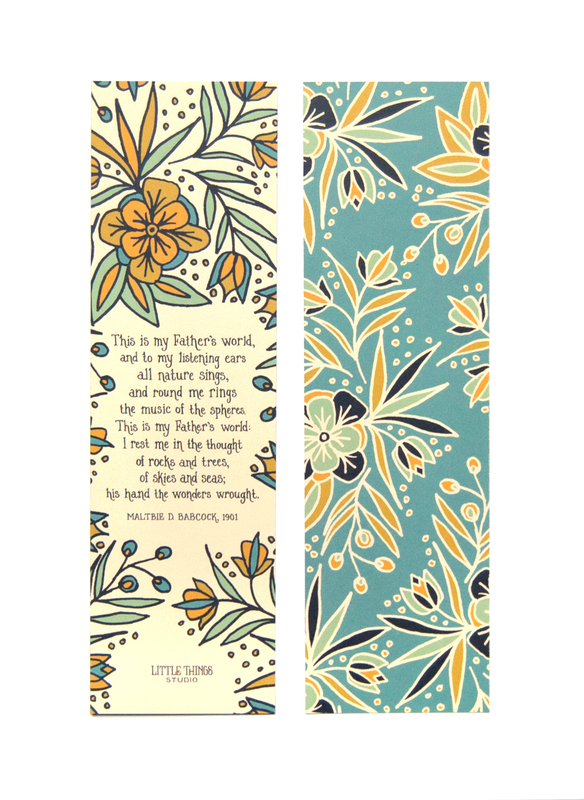 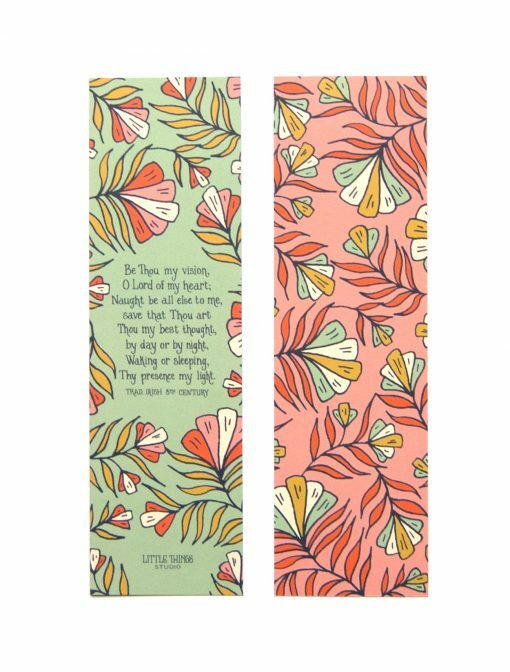 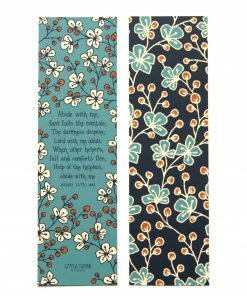 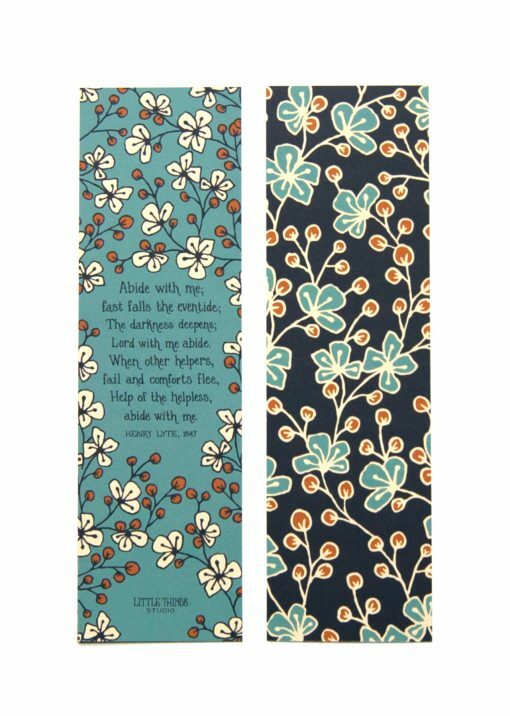 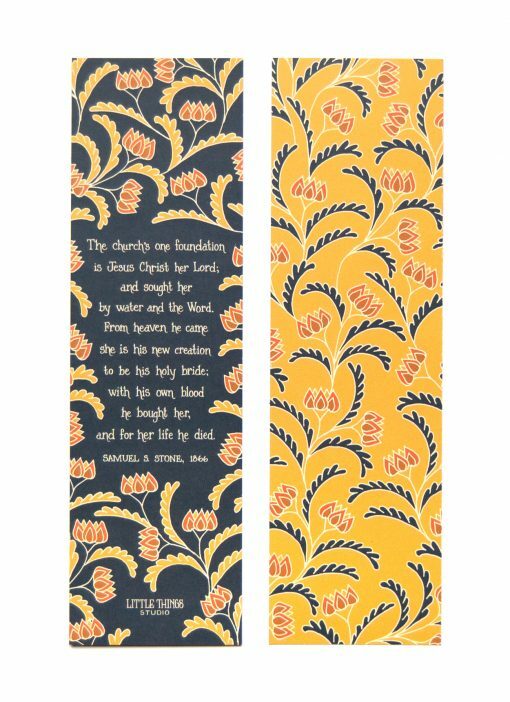 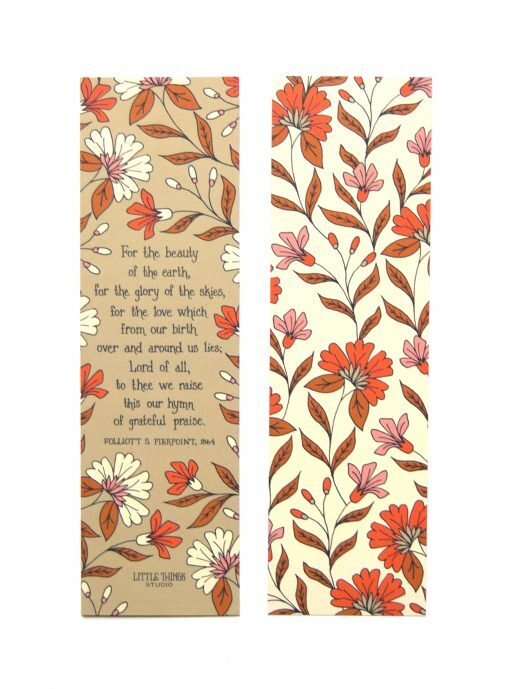 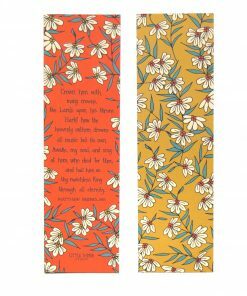 Embellish your library with these lovely hymn bookmarks — hymn lyrics on one side, bold floral patterns on the back. 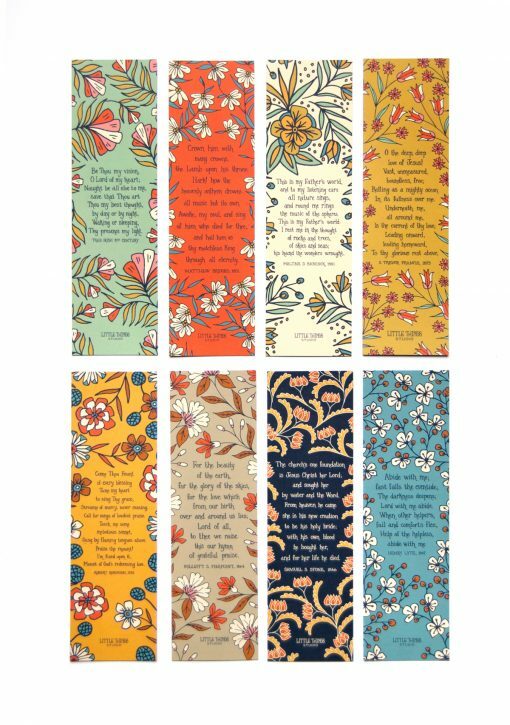 These make great gifts for your book-loving friends and your church family. Use them as stocking stuffers or a bonus decoration on the top of a package! 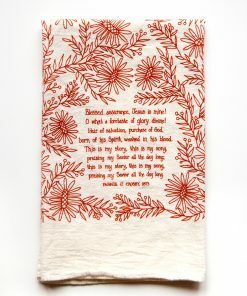 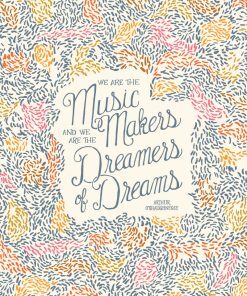 The text and illustration are hand drawn by me. 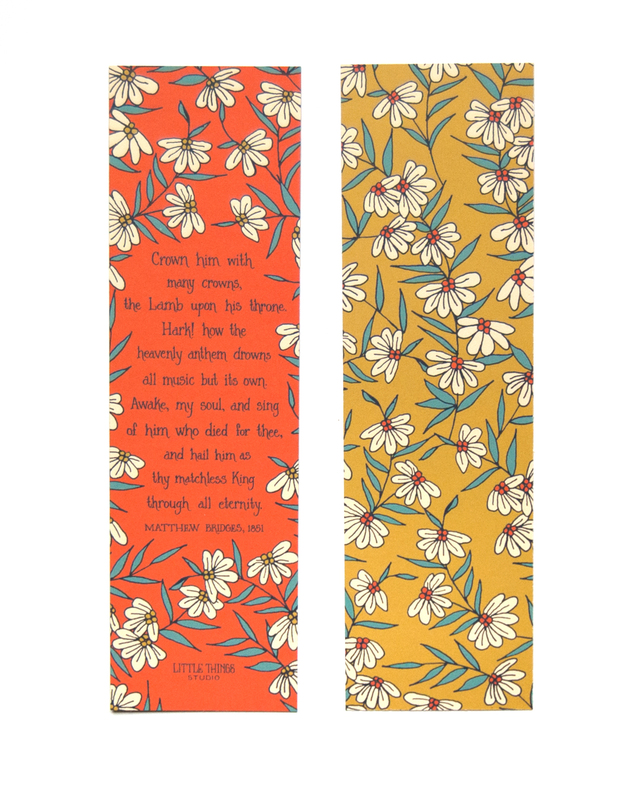 The actual colors will most likely vary due to the settings on your monitor.